Whoa, interesting tips! 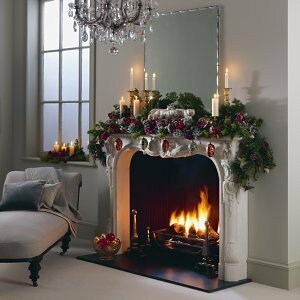 I've never once had a fireplace at home, even though we live in suburban Los Angeles. Wait, that might be why we don't do fires. It's all around, entirely unplanned, and it just doesn't get very cold in these parts. I think the fireplace mystifies my parents because it reminds them of their youth when people actually had to temper coal-burning fires for cooking. What? No lift in your apt. building?